Cut Palak finely and cook with little water. 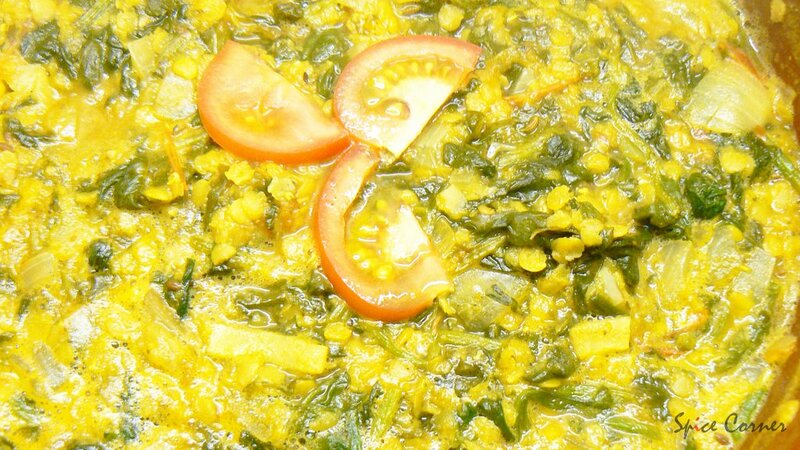 Cook Dal with little turmeric powder in pressure cooker. Heat oil in a pan and season with jeera. When it splutters add onions and fry till golden brown. To this add chopped ginger and sliced chilli and fry for a minute. Now add sliced tomatoes and fry for 1-2 minutes. Add cooked palak and dal and pour enough water, salt, sugar, garam masala and turmeric powder. Boil for few minutes and then add lemon juice just before removing it from flame. Garnish with chopped coriander leaves and serve hot with rice/chapati/roties. 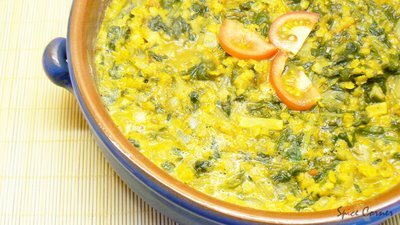 You can use fenugreek leaves instead of palak. While seasoning add few red chillies, garlic and fenugreek seeds. Hey, got to see two different versions of dal palak on the same day! Yours and Lakshmi's from myrasoi. Hi Sia, Love your blog. The recipes are good and the pics are great. Need to ask you a few things but could not find your email id anywhere. Would you please mail me. My ID is anupama.puranik@yahoo.co.uk Sorry for the trouble. mmmm... what a hearty meal! 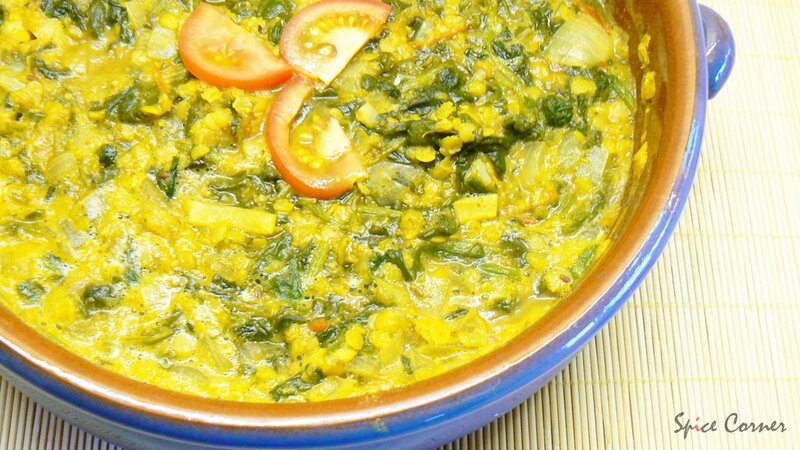 Your daal palak looks real good! 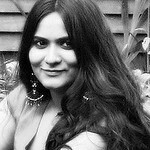 And a perfect entry for our blogger buddy-Pooja. Its so nice of you that you get time for this entry out of your busy schedule there, i hae no words to appreciate your effort. Well, going to show this along with your link there on my blog by the time of today evening, had been little busy right now. such a nice contribution*) . I wish , I could atleast taste this yummy dish. Thanks buddy. Hey Supriya,I make dal palak with toor dal.My parents say that red lentils(masoor) is not good for joints, and we never use it.But yours looks so good! Excellent and nutritional dish.I like to thank pooja also for announcing as this week veg as spinach/fenugreek leaves. 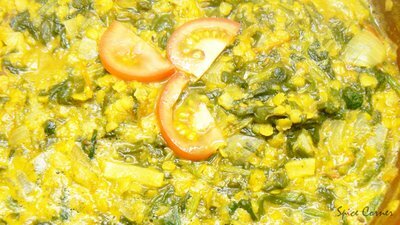 I even going to present moong dal with fenugreek leaves. yup any leafy veg tastes great isn't it? Its a very easy and healthy recipe. Lots of protiens and vitamins too. Good work. 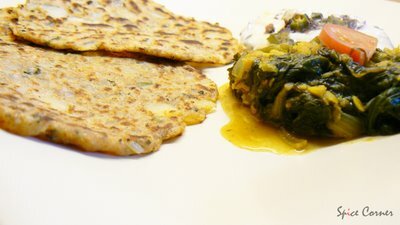 Dal palak with Parathas! What a nice yummy combo, Supriya. Great job and I heard you are going to India from Pooja's post.Have a great time, Sia. a mouthwatering recipe.nice colour of it.thanks for sharing. Lovely recipe, I make a very similar dish, but I cook the palak in the dhal which traps its wholesome goodness. Enjoy your break! And a very happy Christmas and New Year to you too.